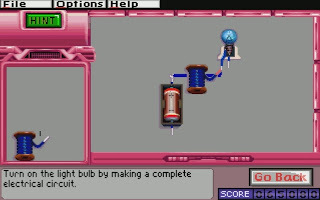 Apart from a few old computer games that I got from my elementary school's book order catalog that I still can't remember the names of or find, the most obscure and forgotten games from my childhood have got to be the Super Solvers games. They were a series of educational computer games by The Learning Company, which also produced the more well-known Oregon Trail. 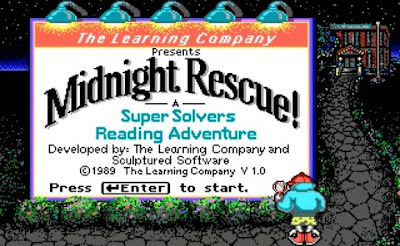 There were six games in the Super Solvers series, but as far as I can remember, I only played two of them. I was in my early years of elementary school and there were few things more exciting than indoor recess on a rainy day. Of course, the most coveted spot during indoor recess was in front of the classroom computer. Without access to the computer, I was reduced to crawling around on the floor and collecting used staples. 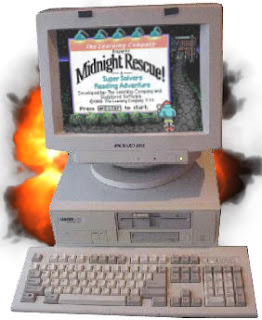 But if I was fast enough to get the computer, I could play Super Solvers: Midnight Rescue! or Gizmos & Gadgets!! Even though I had better, more recent, games at home, I still enjoyed playing them. Anyway, let's take a look at these two nearly forgotten pieces of my childhood. 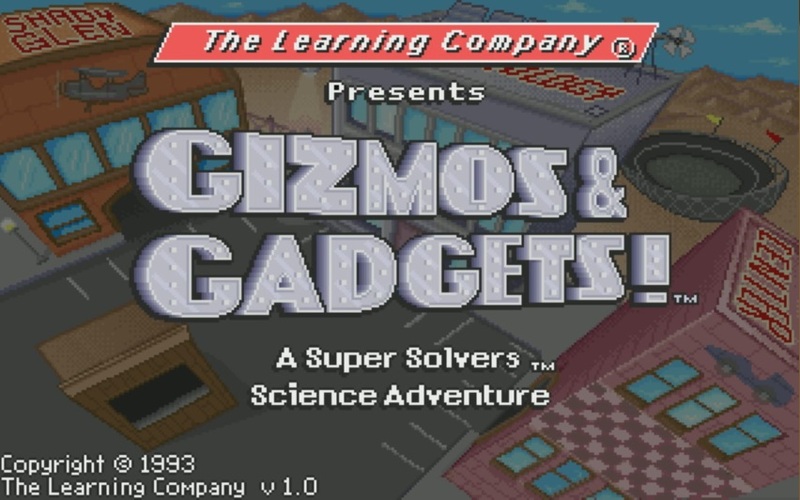 In this game, Morty Maxwell, the Master of Mischief, means to maliciously make a school disappear using magic paint and mecha-paintbrush miscreants by midnight. 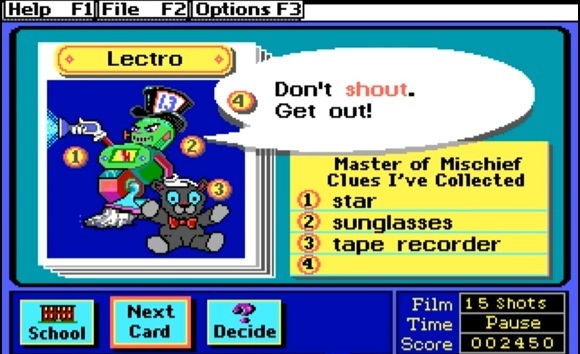 Only you, a faceless guy with spotted shorts and a hip hat, can stop this evil plot by collecting clues acquired from answering reading comprehension questions and snapping pictures of the robots that are running amok in the school. Each time you play, the locations and content of the clues seem to be randomized and the appearance of the robots is random as well. The randomness doesn't matter too much though, since you can pretty much be sure that every room will contain a clue. Essentially, the clues are just words that corresponded to things the guilty robot (actually, the Master of Mischief in disguise) is holding or doing. Each game has four clues and five robots. By comparing the clues you have with the pictures of the robots that you take, you can narrow down who is and isn't responsible and eventually make your accusation. The camera's range and ammo is limited. But don't think this is all just screwing around; you have a limited amount of film, so it's important not to miss when taking pictures of robots. Not only that, but as you play, the clock will get closer and closer to midnight. If you don't finish by then, you lose! 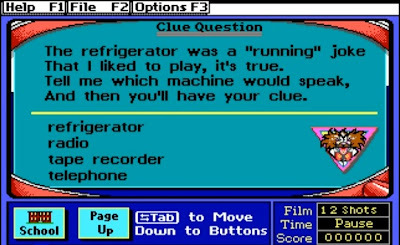 Graciously, the timer pauses during the reading sections and there are film refill stations in the hallways, but these can only be used after finding a clue. I never did understand why I would want to stop a school from disappearing in the first place. Even still, the time limit and limited film stressed me out a bit as a kid. Both this and Gizmos & Gadgets! feature an account system so that many different users can sign in and track their progress. In this game, each time you win a round, your points are added to your total and you can level up. The more you play, the harder it gets. 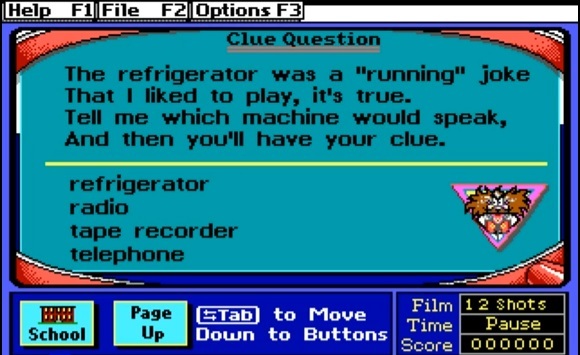 On later levels, you'll have to take multiple pictures of each robot in order to reveal each of the four clues on it. For an educational game, it's not as bad as you might expect. The random elements, ranking system, and gradually increasing difficulty keep it entertaining enough to play again during the next indoor recess. 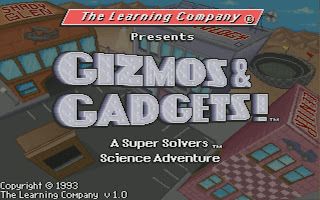 Released a few years after Midnight Rescue!, Gizmos & Gadgets! is a few steps ahead in quality and variety. This time, Dr. Wily Morty has taken over the Technology Center. The only way to beat him is to prove that you're a better scientist than him by building better vehicles than him and beating him in races. 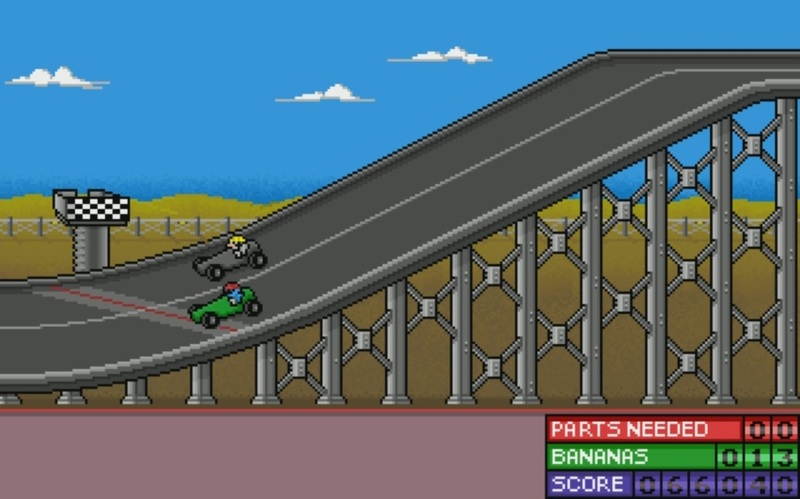 The races are divided into three sections of five races each based on the type of vehicle used. You can jump between the three sections freely, but as you progress in each, the vehicles and puzzles will get more complicated. The meat of the game isn't really building and racing the vehicles, but finding the parts for them. 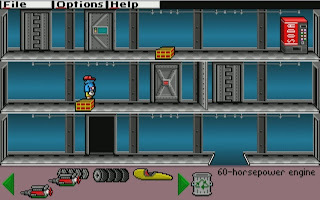 You do that by exploring maze-like warehouses and picking up the parts as you go. 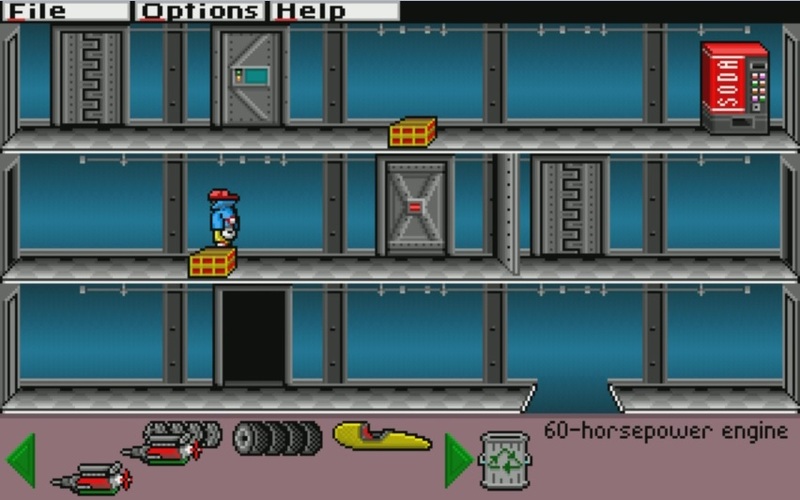 It's not as easy as simply picking up the parts though; the warehouse doors are locked with science puzzles and Morty's minions, globe-shaped chimps, will try to attack and steal your parts. The chimps are dealt with easily enough by throwing bananas at them. The puzzle doors aren't all that difficult either - at least not to start. They have a variety of puzzles including arranging magnets to fit a pattern, balancing weights, launching differently weighted objects to land in certain places, completing electrical circuits, arranging gears, and identifying simple machines. 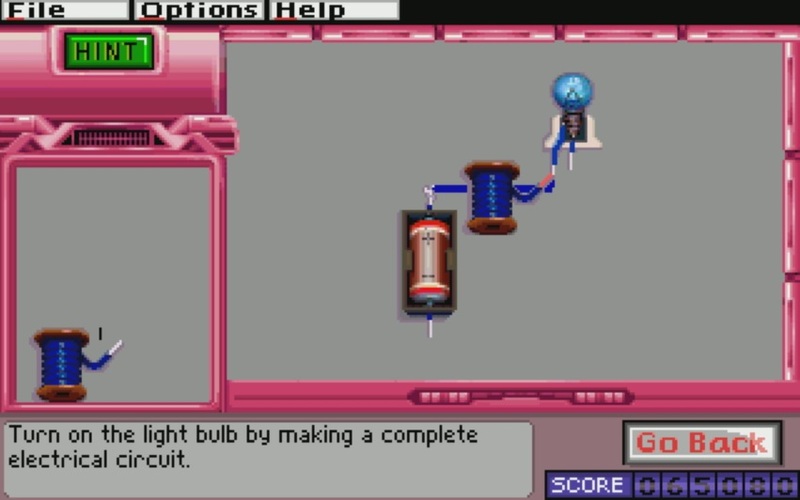 As you progress through the game, the same kinds of puzzles are used, but their difficulty increases. When collecting vehicle parts, you can see how many you have left to find, but even if you have one of each part, you won't necessarily win the race. Instead, you can try to find the best version of each kind of part. Which version is the best isn't always obvious unless you know something about physics and engineering, but experimenting with it is part of the fun. When exploring, you can only hold two of each part, so if you find a third, you can either leave it or swap it with one of the two you already have. Once you think you have good enough parts, you can go back to the garage to build your vehicle. Most of the parts serve an obvious purpose (you can't have a car without wheels and an engine) but you can also change the paint color and add decals. Once you finish choosing the parts for your vehicle, it's off to the racetrack. You won't have any actual control in the race, but you won't have to wait long to see whether you won or not either. The races are short and simple, and you can usually tell who will win based on whose vehicle pulls ahead at the beginning, though in the case of airplanes, one may be faster at taking off, but slower in the air. 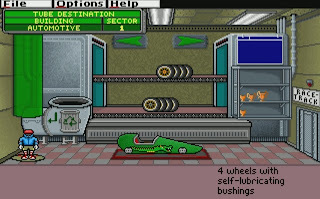 If you win, you receive a trophy to add to your collection and your winning vehicle will be proudly displayed in the parking lot in the main menu. As a kid, this game was where it was at, at least during indoor recess. I enjoyed exploring the warehouses, finding parts, building vehicles, and seeing my progress by the trophies and vehicles displayed in plain view. The platforming controls may not have been nearly as solid as a Mario game, but I still had fun with both Gizmos & Gadgets! and Midnight Rescue!. Maybe I even learned something at the same time. Educational games get a lot of flak from most gamers, but they don't have to be so terrible. In fact, maybe educators could learn a thing or two from video games about how to make learning more engaging and satisfying. At the very least, playing these games is certainly better for kids than watching TV all day. For another old, obscure computer game, check out Taco Bell: Tasty Temple Challenge!